At the 1991 World Championships, Stojko became the first person to land a quadruple-double jump combination. He later said he had studied VHS tapes of Kurt Browning, Brian Boitano, Alexander Fadeyev, and Jozef Sabovčík to help him master the quad. At the 1992 Winter Olympics in Albertville, he finished 7th despite skating a technically strong routine, but a month later he made his first appearance on a major international podium when he placed third at the 1992 World Figure Skating Championships behind winner Viktor Petrenko and Kurt Browning. In 1993 at the World Figure Skating Championships he finished second, once again behind Kurt Browning. 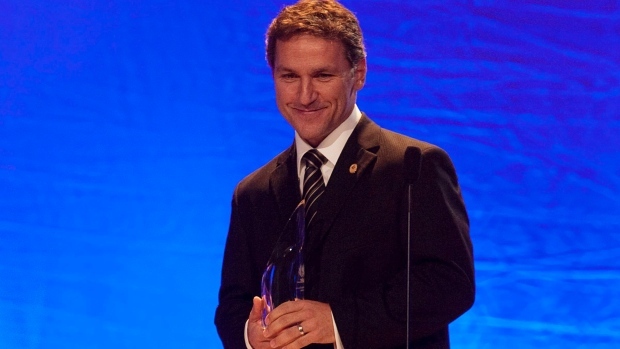 Stojko made his mark on the figure skating world in 1994, beginning with the Canadian National Championships in Edmonton. 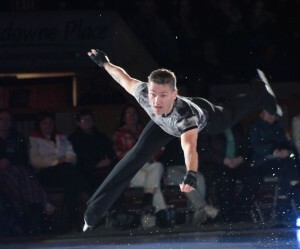 Skating to the soundtrack of “Dragon: The Bruce Lee Story,” he defeated Kurt Browning in the free skate to win his first Canadian National Championship. At the 1994 Winter Olympics at the Hamar Olympic Amphitheatre, he skated well enough in the short program to place second, putting him in good position heading into the free skate, after three of the pre-Olympic favourites (Brian Boitano, Viktor Petrenko & Kurt Browning) had disappointing short programs. Stojko had a strong performance in the free skate, despite popping a planned triple axel combination (which he later replaced by doing another triple Axel combination spontaneously) and won the silver medal. Stojko entered the 1994 World Championships in Chiba, Japan, as the favourite and won his first world championship with a performance that included another quadruple jump. Stojko suffered a serious ankle injury during practice for the Canadian Championships in 1995, but was determined to compete anyway. He began his short program but was not able to complete it due to the injury, and was awarded a bye to the 1995 World Championships. 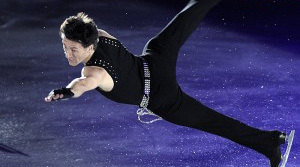 His 1995 World Championship skate is regarded as one of his most impressive competitive outings because he completed his full routine despite his still-unhealed injury. Although in second place after the short program behind American Todd Eldredge, Stojko won the free skate – and his second world championship – with a performance that included a triple lutz-triple toe loop combination in the closing seconds of his program. At the 1996 World Championships in Edmonton, Alberta, Stojko fell on his triple axel combo jump, leaving him in seventh place after the short program. In the free program, he included a quadruple jump combination (the only one in the competition) and moved him all the way up to fourth, just off the podium behind American Rudy Galindo, who won the bronze. His quadruple toe loop-triple toe loop was the first ever performed by a skater in a major competition. Stojko won the 1997 Grand Prix Final in Hamilton, Ontario, skating to the movie soundtrack of “Dragon Heart”. Two other skaters also landed quad jumps during the free skate (Ilia Kulik & Alexei Urmanov), but not in combination as Stojko did. At the World Championships later that year, he again had a strong short program and placed fourth going into the free. Approximately halfway through the free skate, Alexei Urmanov, leader after the short program, withdrew from the event with an injury, while Ilia Kulik, in third, had a performance that put him out of contention. Stojko then took the ice and landed his quad-triple combination to earn two perfect scores of 6.0 and another world title. Stojko entered the 1998 Winter Olympic games in Nagano, Japan as the heavy favourite and was expected to become the first Canadian man to win an Olympic gold medal. He did not disclose to the media that he had suffered a groin injury and was also recovering from a flu that had struck many other athletes during the Games. He was unable to take painkillers due to the possibility of failing his drug test. He later stated in an interview that he was already feeling stiff and sore during the warm-up prior to the long program, and therefore downgraded his planned quadruple toe loop to a triple, likely costing him a chance at gold. Later in the program, on the landing of a triple Axel, Stojko aggravated the injury even further, saying he “felt something snap.” He still managed to successfully complete four more triples after that point, and won the silver medal. Stojko finished fourth in the 1999 World Championships. After the 1998–99 season, Stojko changed coaches from Doug Leigh to Uschi Keszler and Tim Wood. He won silver at the 2000 World Championships. At the Salt Lake Winter Olympics in 2002, he placed eighth. He turned professional in 2002 but briefly reinstated as an Olympic-eligible skater and publicly declared his intention to compete in the 2006 Olympics in Turin, Italy, before changing his mind and resuming his professional skating career. Stojko was a commentator for CTV/TSN for the men’s event at the 2003 World Figure Skating Championships in Washington, D.C. In 2006, he was a celebrity judge on the WE tv series Skating’s Next Star, created and produced by Major League Figure Skating. The show was hosted by Kristi Yamaguchi. Stojko retired from skating on August 10, 2006 with his farewell performance being a gala performance for the Mariposa skating club, where he trained most of his amateur career. He took part in ISF Entertainment’s acrobatic ice show, “A Rock & Roll Fantasy”, in the July 2010 Calgary Stampede. 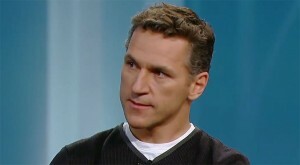 Stojko provided commentary and analysis for Yahoo! Sports during the 2010 Winter Olympics in Vancouver, Canada. He wrote an article criticizing the judging system during the 2010 Olympics, saying that it did not reward athletes for undertaking quadruple jumps. Elvis made his professional acting debut as smooth-talking lawyer Billy Flynn in an upcoming production of Chicago, the Musical. Mirvish Productions mounted the musical as part of its 50th anniversary season. “People think of me as only a skater. What they don’t know is that I love musicals,” the Newmarket, Ont., native said in a statement. Stojko has chosen a daunting role to launch his stage career. The part has previously been tackled by veteran performers including Billy Ray Cyrus, Alan Thicke and Tom Wopat — as well as by Richard Gere in the 2002 Oscar-winning film. The skating champion was not at Tuesday’s packed announcement at the Royal Alexandra Theatre. Chicago cast veterans Bianca Marroquin and Tony-nominated Brenda Braxton were said they were excited to see Stojko’s turn in the show. “I think he’s going to bring new things to the show,” said Marroquin, who’s been performing in Chicago on-and-off since 2001, most recently as Roxie Hart in the Broadway production. “Sometimes they’ll bring just actors that can sort of hold a tune or good movers, and then sometimes they’ll bring amazing dancers. Like in our time, Patrick Swayze was Billy and he brought a lot of dancing to the role. Usher brought a love of suaveness and his singing. Audiences can see Stojko’s incarnation when Chicago opens at Toronto’s Princess of Wales Theatre next March. The three-time world figure skating champion has some show business experience — he doubled for Robin Williams in the 2002 film Death To Smoochy, for which he also did choreography, and he portrayed a hockey player in the 2000 TV movie Ice Angel. He’s also released an album. Ice Girls 2 is in the works and should start filming next year. Stay tuned for more updates!